Erick Mikiten is known as a highly sought after architect for elegant, Universally Designed homes. He is famous for designing highly personalized homes around a whole family’s needs without sacrificing poetic, dramatic design. Mr. Mikiten taught architectural design at UC Berkeley. He has also lectured there, at national conferences of the AIA, Dwell Magazine, and the USGBC. His speaking engagements focus on the importance of Universal Design as a part of a holistic approach to stunning and creative architecture that puts the needs of the user first. Mr. Mikiten has worked in architecture for over 30 years, with 20 years of industry-changing, creative multi-family housing designs. 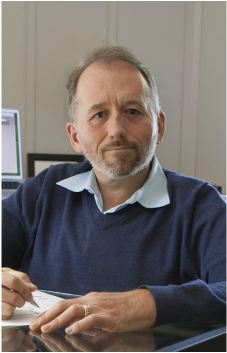 As a wheelchair-riding architect, he has particular insight into universal design, and is currently a special consultant on architecture and universal design for the Ed Roberts Campus, a new complex that will house nine disability-related agencies. Mr. Mikiten has worked with non-profit developers throughout the SF Bay Area, creating hundreds of units of beautiful, dignified affordable housing. 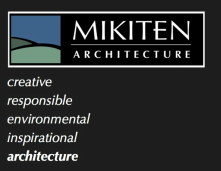 My wife and I started Mikiten Architecture in 1991, initially working out of an unheated garage in Berkeley, California. We started with miscellaneous small projects, mostly single-family remodels. But as I looked around the Bay Area at that time I saw that the affordable housing projects being built were generally dull and unimaginative. My family lived in high-rise public housing in New York, so I knew how good design could make or break one’s experience of day-to-day life. So we decided to focus on affordable housing projects, with the goal of creating thoughtful and exciting buildings that people would love to live in. Another driving force in our work has been my personal experiences as a wheelchair rider. I have a weak bone condition that resulted in dozens of fractures, mostly in my youth, and lots of time spent indoors in traction. That sort of frequent forced convalescence for weeks, largely spent with my artist mother, led to much drawing and contemplation about the spaces I was in; the way the light coursed through the room, the breezes through a screen door would stir up life on an otherwise stagnant summer afternoon. This fostered a connection with the interplay between buildings and nature. So I’ve always taken an artistic, sculptural approach to weaving the indoors and outdoors together in interesting ways. When I wasn’t drawing or watercoloring at home, I experienced an unaccommodating physical world outside our home. In the 70’s and 80’s there was little thought given to making the world wheelchair-accessible…especially in the suburbs of San Antonio Texas where my family moved to. I saw the myriad of ways in which the built environment prevented me from doing things. As a problem solver and artist, it dawned on me that as an architect, I could practice art and fix the built environment to make it not just accommodate, but actively welcome everyone. So Universal Design became another focus of our work. All three of these passions - affordable housing, artistic design, and Universal Design - have come together as driving themes in all our projects, balancing social benefits, sculptural fun, and practical details in equal measure.